Manage quotes and proposals in an easy-to-use, flexible, and integrated web-based Customer Relationship Management (CRM) application. Philadelphia’s preferred CRM solution provider, Dynamic Digital Advertising (DDA), provides companies of all sizes and industry types with custom programming for CRM systems that promote seamless coordination between sales departments, customer service representatives, and field support teams. Our custom programming for CRM tools empower you and your employees to make informed business decisions, increase sales success, and offer unprecedented customer service. Learn how your company can make the shift from a lead generation business model to one that includes a dynamic lead development process by calling DDA today. Companies that manufacture products or that offer services implement a selling process of some kind that is all too often ill-defined, poorly-automated, and filled with disjointed steps that lack an integrated flow of information. Such processes result in lengthened quoting and ordering lead times, unacceptable error rates, dissatisfied customers, and higher costs. In other words a process that is neither efficient nor successful. The results of a poorly developed and implemented sales process affect both external and internal members of an organization. Product- or service-knowledgeable personnel that use spreadsheets and out-dated catalogs or sell sheets waste substantial time validating whether the required steps have been taken. Customers experience lengthy quote cycles that may drive them to competitors. For these and other reasons it is critical that your company establish and execute an effective sales quotation/proposal process. DDA helps make it happen. A fresh approach facilitated with advanced CRM capabilities can help you manage the often large amount of product, pricing, and customer information in the time-compressed environment of mass customization. First, it is important to evaluate your existing sales process and determine what works and what doesn’t, where communication breaks down, and when problems begin to arise. Based on this evaluation, we work with you to develop a process that reflects a logical and smooth flow of related steps and that includes policies, procedures, and defined roles and responsibilities for personnel. Once an effective sales process has been established it is important to ensure its success. Supervise and synchronize sales proposals electronically with CRM sales force automation custom programmed by Dynamic Digital Advertising. With the same CRM system, you can stay in touch with customers, prospects, and your sales team. We can program login-based applications to restrict users from accessing private quotation and proposal information. Secure data files ensure that information is exchanged safely and efficiently. Increase productivity and tune into business opportunities by leveraging customer contact information and sales process management with the electronic creation and management of sales proposals. Contact DDA for custom CRM programming system solutions. The World Wide Web is a multi-platform, non-browser specific medium. As such, people should be able to browse your website using Netscape, Explorer, Opera, Lynx, WebTV, NetPhonic's Web-On-Call, Mobile Telephones, or Personal Digital Assistants (PDAs). Dynamic Digital Advertising (DDA), a professional custom website design company, builds sites that allow each browser to render your website without problems. Testing on multiple platforms is one of many stages within our comprehensive custom website design and development process that is geared toward allowing websites to be seen by the masses. Click the icon for more information on our custom website design process. People buy with their eyes. So give them eye-catching graphic designs created by Dynamic Digital Advertising (DDA), Philadelphias premier graphic design company. We create balanced page layouts and unique images so those who look at your marketing materials cant help but be intrigued. 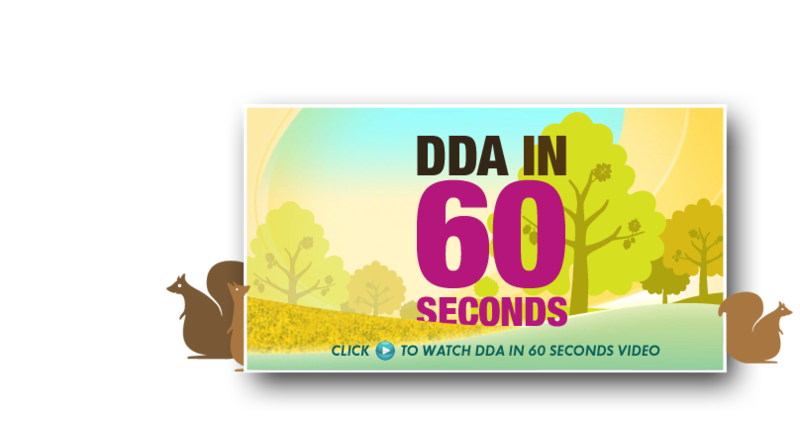 DDA offers one of the nations most complete lines of graphic design services available, from business cards to business card-sized CD-ROMs. Traditional or contemporary, our graphic designers work with you to produce the graphic designs you need for all forms of marketing materials.